Nostalgia is a powerful emotion, but everything is stepped up when there’s a water cannon involved. When the thermometer kicked into summer last week I took my son to Meadow Park, to the same water park I remember blasting away the heatwaves of my childhood. It was a trip down memory lane, and a reminder that although change is inevitable some things – the important things – never really change. First off, Meadow Park is beautiful, and always has been. 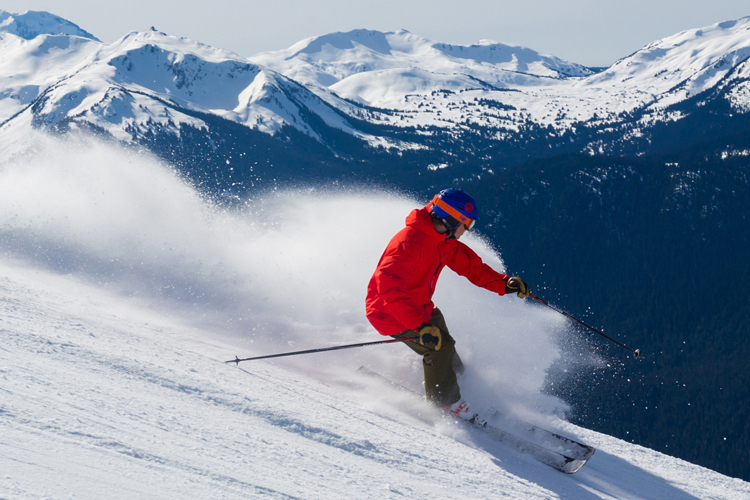 It’s huge, flat, quiet and has arguably the most impressive view of Whistler and Blackcomb Mountains of anywhere on the valley floor. To the northeast Wedge looms impressively next to the Armchair Glacier to create a full panorama of Coast Mountain awesomeness. 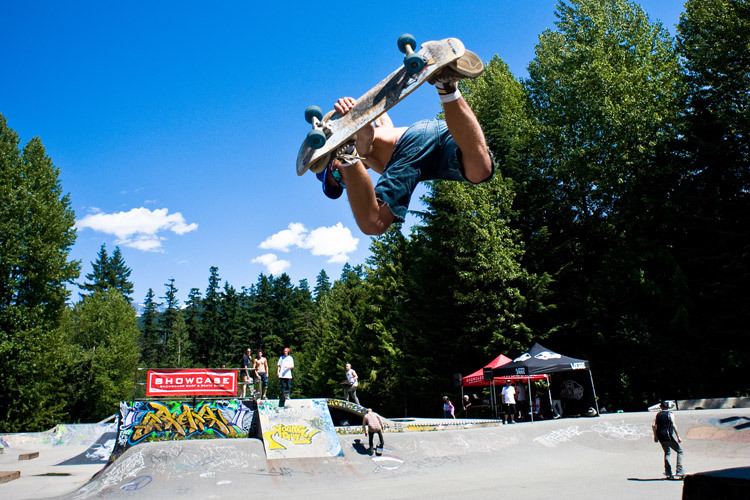 Meadow Park is also home to the Whistler Recreation Centre and Whistler’s only indoor ice arena. The “rink” is hallowed ground in any small Canadian community. Completed for the 1992 season, Whistler kids, along with our friends from neighbouring Pemberton and Mount Currie, were suddenly given the option to play organized hockey. A decade later the 2002 Canadian Olympic Mens Hockey team trained here. Some of those same kids got to watch Wayne Gretzky and the greatest players of our generation play shimmy. That team would go on to win Gold by beating the US Team on their home soil with some of the greatest and most iconic hockey in Canadian history. Those sweeping mountain views are nice, but to a kid on summer vacation Meadow Park has always been all about the water park. I’m sure the Internets could summon us up a study touting the value of being immersed in a continuous mist of negatively charged water ions (we humans are 70% water ourselves) but even without it, no one can argue the tangible sense of carefree relief that comes with frolicking in clean, cold water on a scorching day. 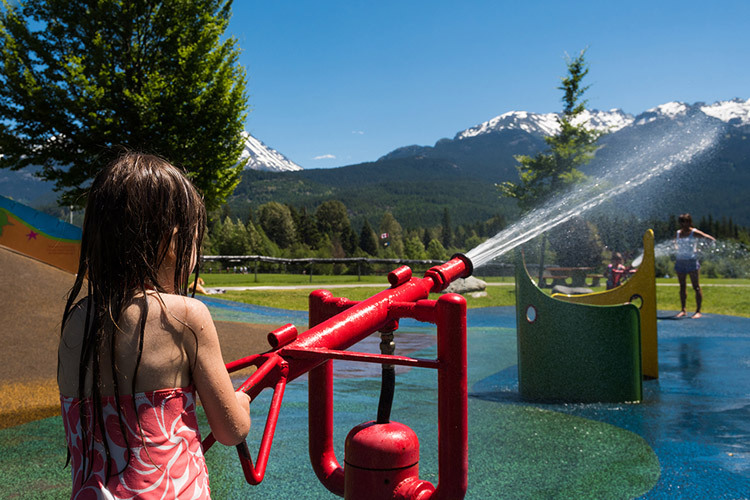 Built in 1989 or so, the water park was an integral part of childhood for Whistler kids who lived in the north end of town. 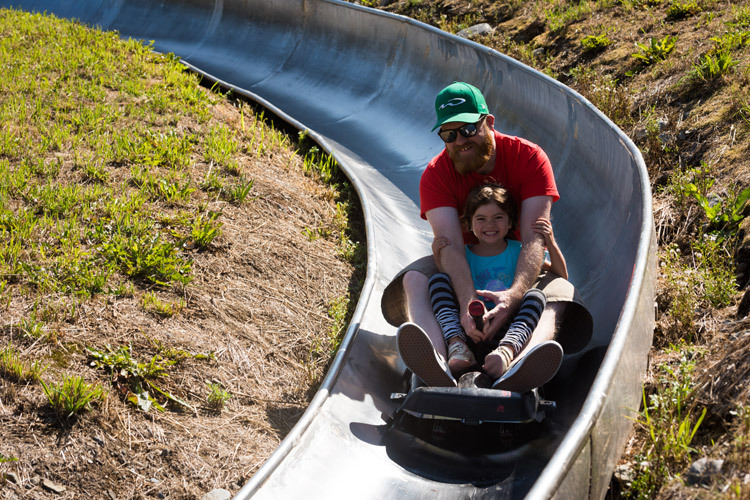 With no public transit, this was the closest cool-down option and we made almost daily pilgrimages to splash down the slide, run the spray tunnel, refresh and play Frisbee on the massive grass fields. The park is mostly unchanged these days, save for a much safer and child-friendly rubber compound on the ground in the water park (in my day it was straight-up cement). There’s a “new” adventure playground and swing sets but the old tennis courts and ball hockey/basketball space are just as I remember. 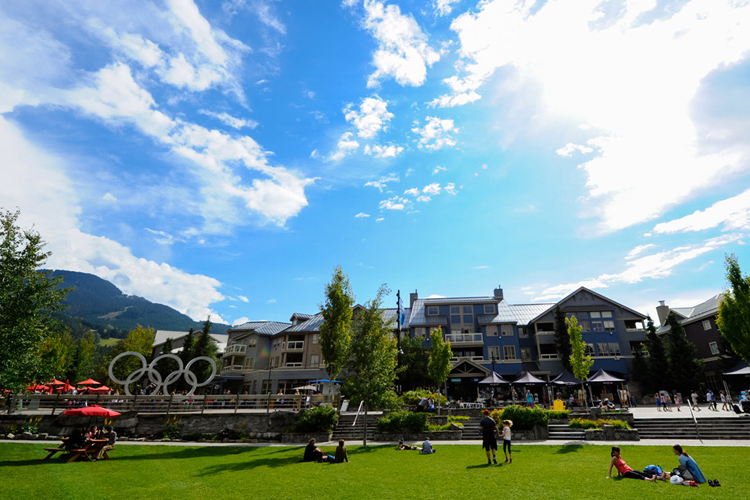 One of the largest flat open spaces in Whistler, Meadow Park also sits on the banks of the River of Golden Dreams. My son would only sit and watch the dogs chase tennis balls in the water for a few minutes but as an adult, you could soak in a whole day on that riverbank, contemplating the complexities of the universe and where we all fit within it. Or you could flyfish. 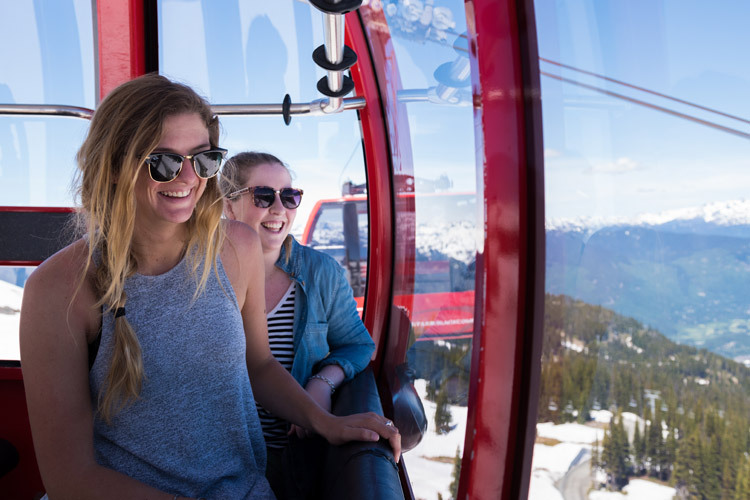 Summer can be hectic and there seems to be a growing tendency to try and schedule our fun these days. But there’s a lot to be said for just picking a spot, posting up and letting the day unroll as it will. And for most of my life, Meadow Park has been one of the best places to do just that. There’s a special sense of pride and appreciation that comes with showing your children the important places from your own youth. Too often those places have disappeared altogether or changed beyond recognition. Meadow Park feels the exact same, only better. Ah the simple things. 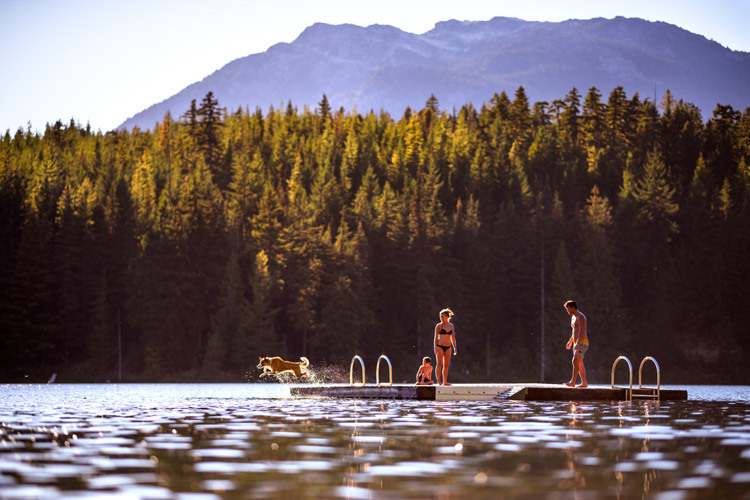 Let us know your favourite place to chill out with kids in the comments below, or for more ways to spend a long, lazy summer day visit Whistler.com. 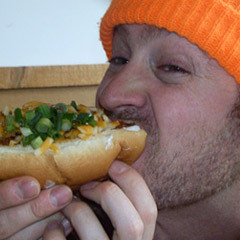 All images thanks to Feet Banks.